This week the BBC revealed what many in the water industry had known for some time – that there is no such thing as a ‘flushable’ wet wipe. 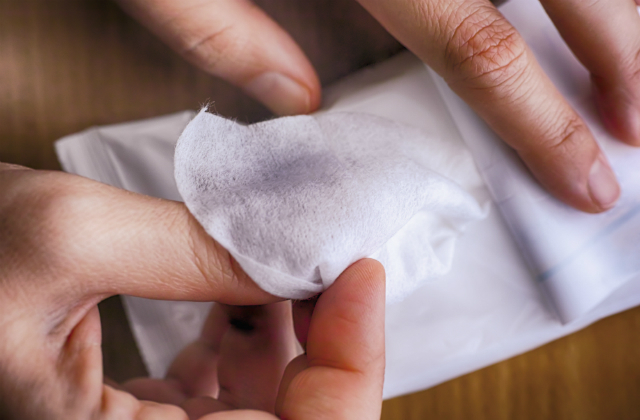 All wet wipes sold as flushable in the UK have so far failed the water industry’s disintegration tests, the Radio 4 programme Costing The Earth found. And because they don’t disintegrate, the wipes contribute to the £90m fatberg problem now clogging UK sewers. So what can be done about the problem? Here are three different approaches. Yorkshire Water is called out to more than 30,000 sewer blockages every year, costing £2.4 million – and 40 per cent of these incidents are caused by wipes. Now it has launched a customer awareness campaign to raise awareness of the problem, while at the same time asking wet wipe manufacturers to add a ‘no flushing’ symbol to their packaging. When toilet paper isn’t enough, some people reach for so-called flushable wipes. But what if there was an alternative? There is. Estonian startup SATU Laboratory is one of a number of companies that has developed a toilet paper gel. You apply the gel to moisten normal toilet paper, and it does the same job as a wet wipe. Southern Water is running a Keep It Clear campaign to let everyone know to bin not flush their wipes. And they are taking this message to the doorstep: “Our team will be knocking on the doors of nearly 20,000 homes each year to share information about what and what not to flush down the loo or pour down the sink and drains,” a spokesman said. The government is now looking into this issue, Defra says. It is working with water companies and wet wipe makers “to develop a product that does not contain plastic and can be safely flushed, as well as to make sure labelling on the packaging of these products is clear and people know how to dispose of them properly”.